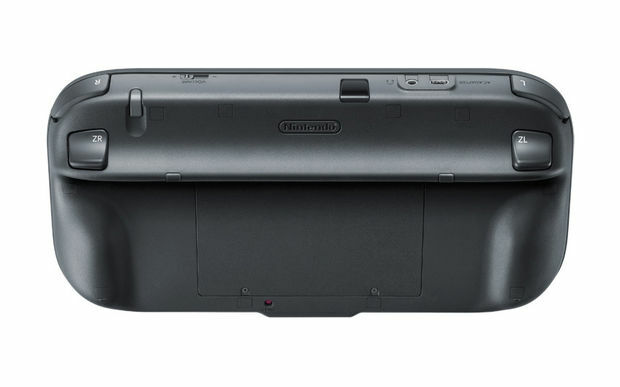 Nintendo spent the bulk of its E3 2012 press briefing on the Wii U, focusing on a glossy black version of the hardware in addition to the white console and GamePad that were unveiled a year ago. We still don't have more precise hardware specifications for the console than the information Nintendo gave out last year, but the company released some details on the GamePad today. The GamePad weighs in at about 1.10 pounds (500 g), a bit lighter than any of Apple's various iPad models, and measures -- protrusions aside -- approximately 10.06 inches (W) × 5.25 inches (H) × 1.61 inches (D). It features a 6.2-inch non-multitouch screen with a 16:9 (widescreen) aspect ratio, although the display's exact resolution remains a mystery. Motion-sensing technology inside consists of an accelerometer, gyroscope, and a geomagnetic sensor. The unit also boasts a front-facing camera (resolution unknown), microphone, stereo sound, rumble functionality, a sensor bar and stylus, and a Near-Field Communication (NFC) chip. A rechargeable lithium-ion battery serves as the wireless GamePad's power source, but you might actually be spending a lot of time playing games with the unit's AC adapter plugged into an outlet. According to hardware details available on Nintendo of Japan's website -- information that, curiously, Nintendo of America omitted from its E3 site -- the GamePad's battery takes about two and a half hours to charge, and depending on the screen's brightness setting, lasts between three and five hours on a full charge. For reference, that's about how long the PlayStation Vita's battery lasts during gameplay. 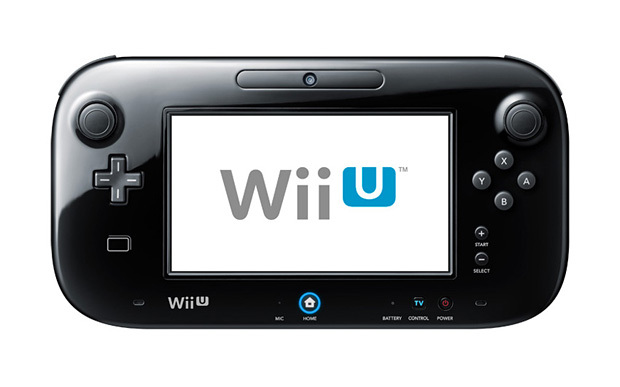 The GamePad has a lot of technology packed into it, but it's not actually processing gameplay; instead, the image on its screen is streamed from the Wii U console. Here's hoping the unit's charging cable isn't short or proprietary. Check out some photos of both the black and white Wii U hardware in the gallery below.